July is almost over, and there’s no time like the present to look ahead at the streaming movies and TV that August has in store. In that spirit, let’s delve into everything headed to Amazon Video Prime Video next month. 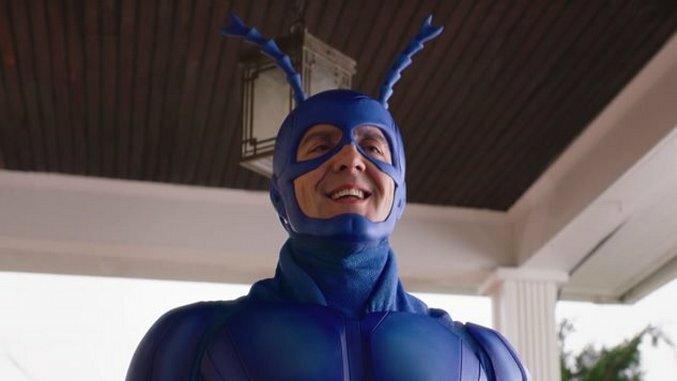 Where the small screen is concerned, Amazon is bringing in four much-anticipated original series, including the debuts of rebooted satirical superhero series The Tick, overdubbed Cold War comedy Comrade Detective and animated kids adventure series Lost in Oz. Those will be accompanied by the third season of Amazon original Tumble Leaf, and the first seasons of acclaimed British dramas Victoria and Undercover. As for film, Prime Video is adding a number of beloved comedies, including Superbad, Bill & Ted’s Excellent Adventure and Wayne’s World 2. There’s also the Oscar-nominated Florence Foster Jenkins, in which Meryl Streep sings badly, though presumably other things also happen. And Amazon has incoming options for fans of more intense fare, as well, including underrated World War II thriller Valkyrie and the horrifying, if gimmicky, Saw series. See Amazon’s sizzle reel for their August slate below, and their full lineup beneath that.